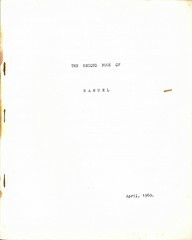 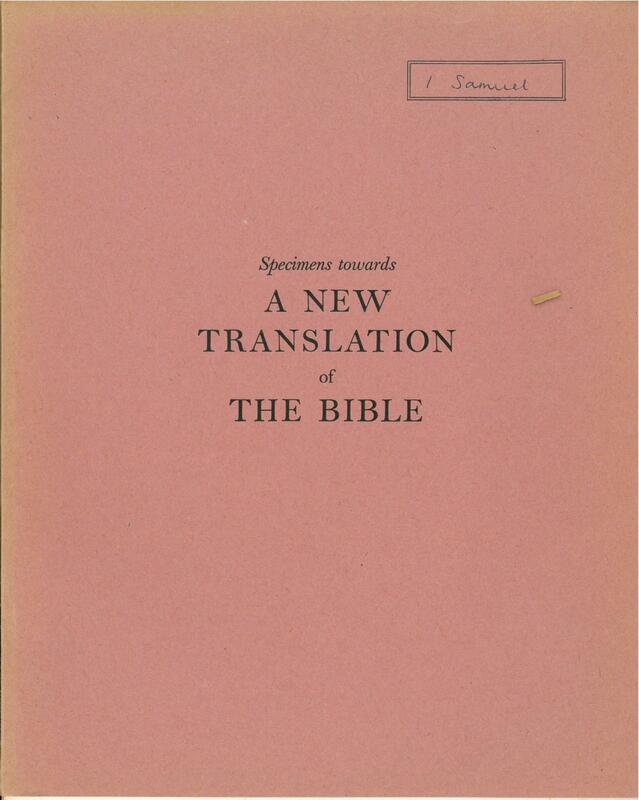 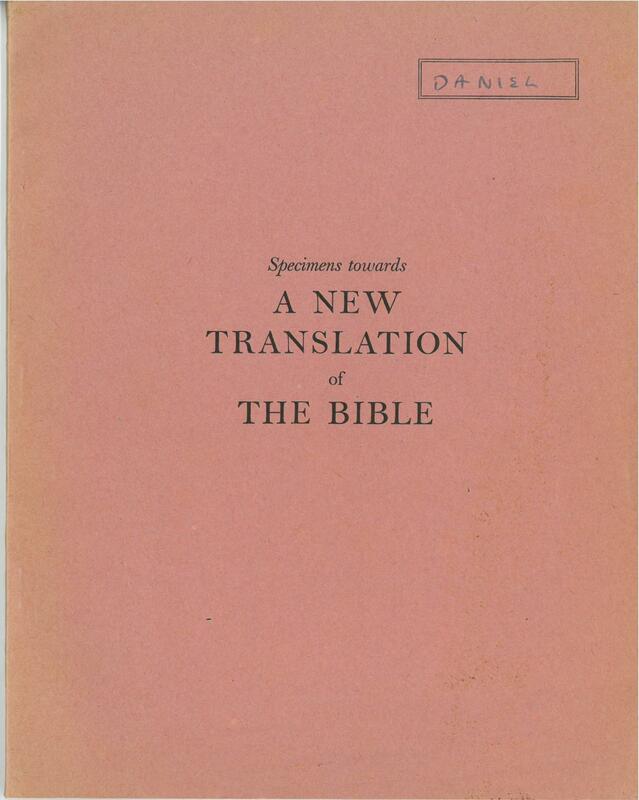 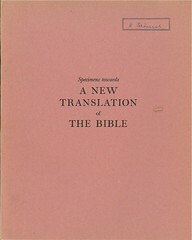 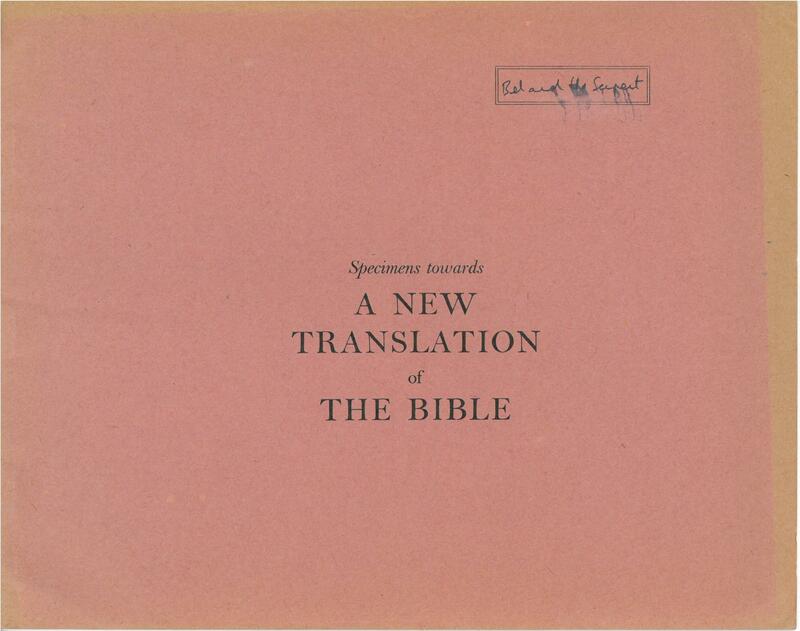 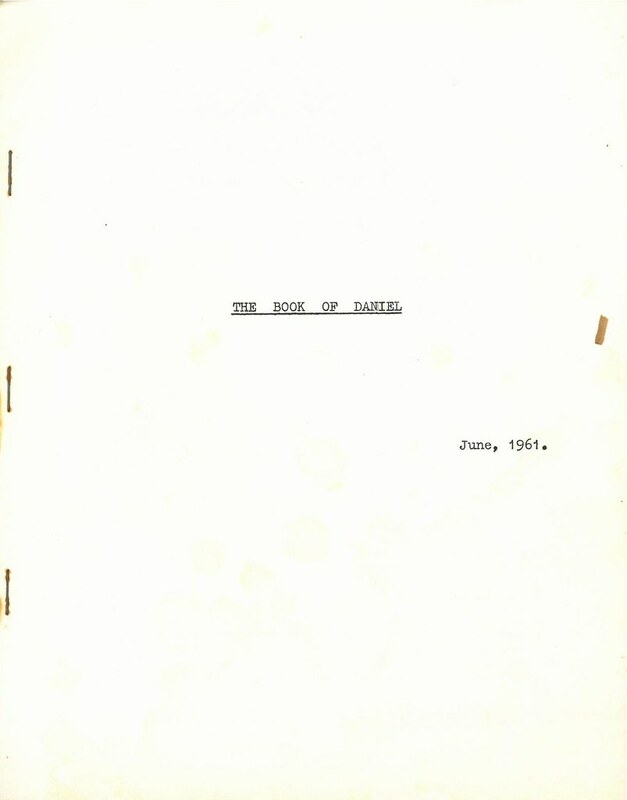 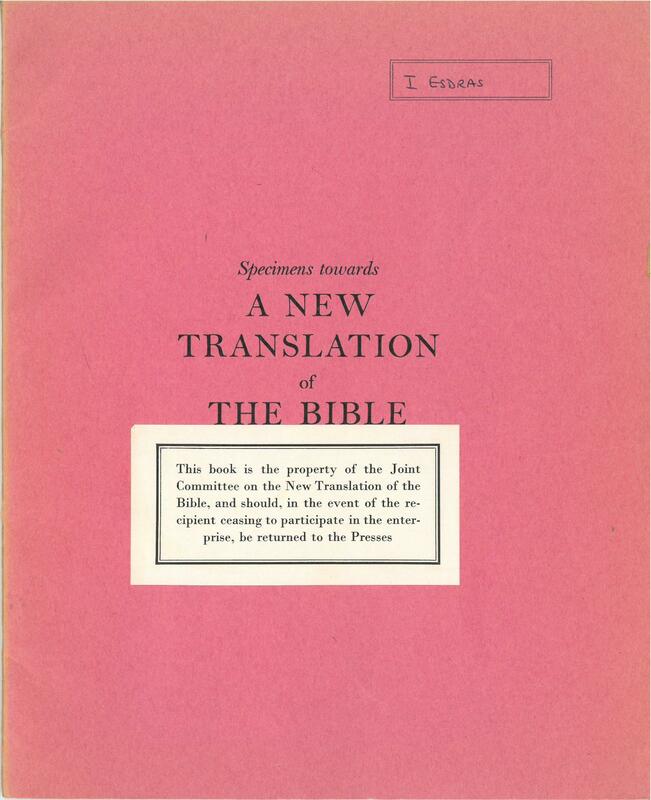 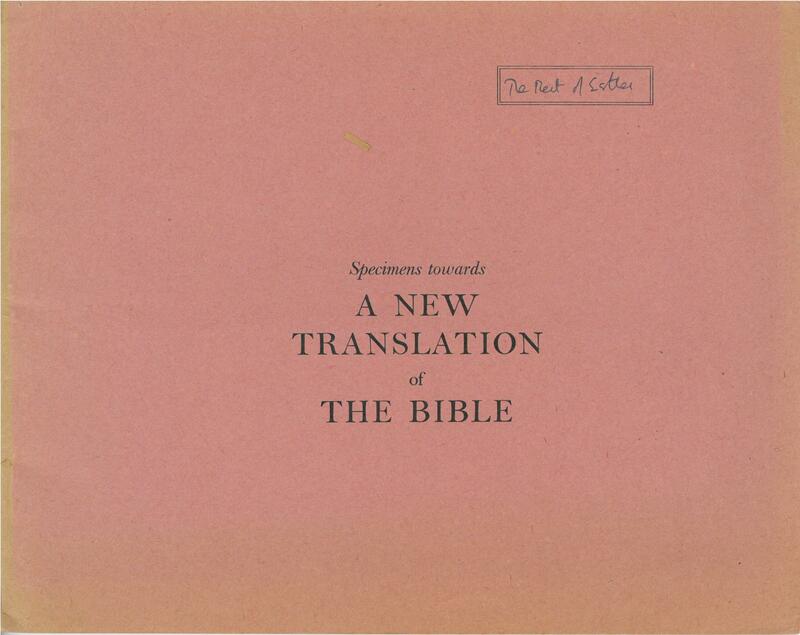 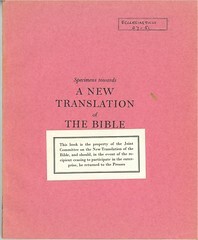 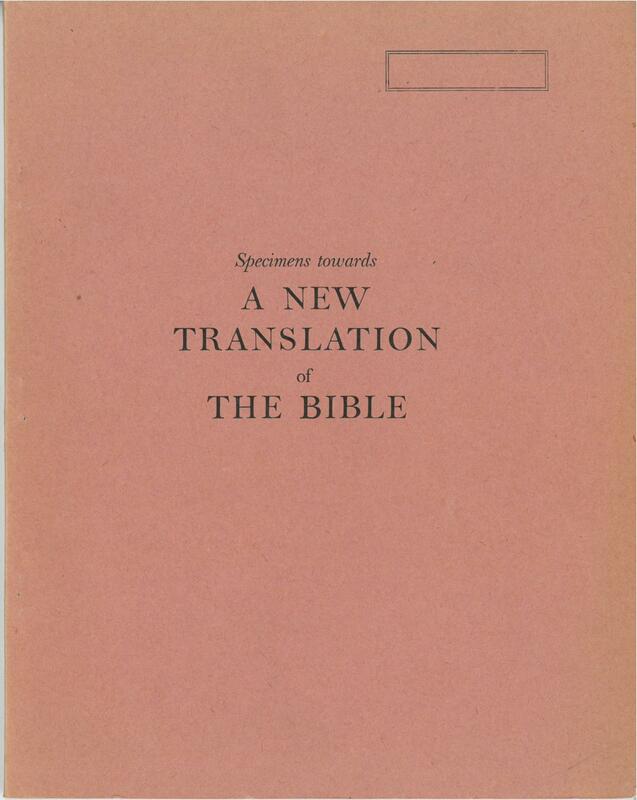 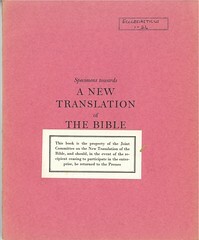 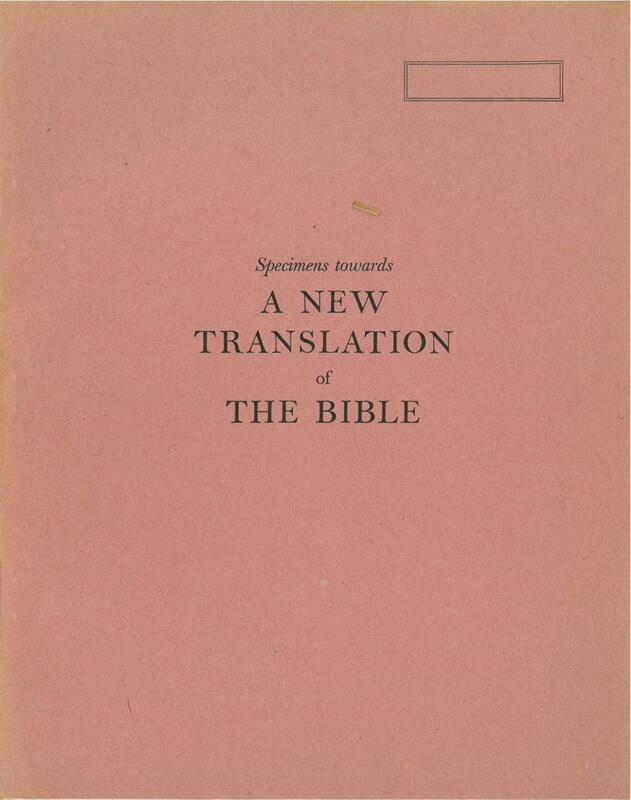 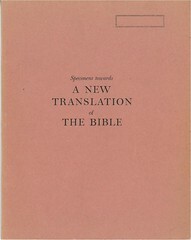 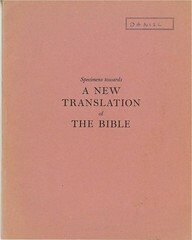 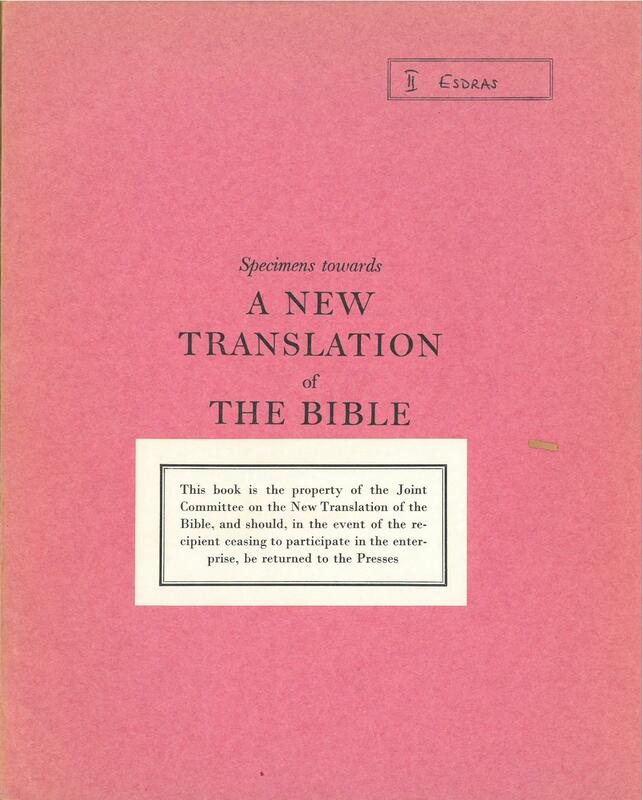 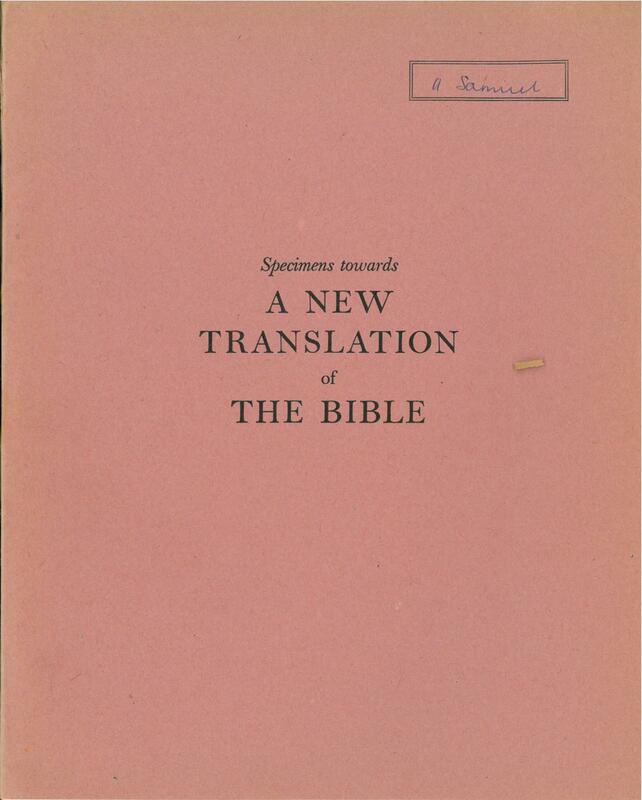 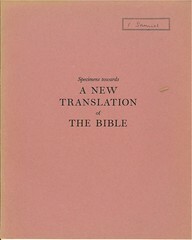 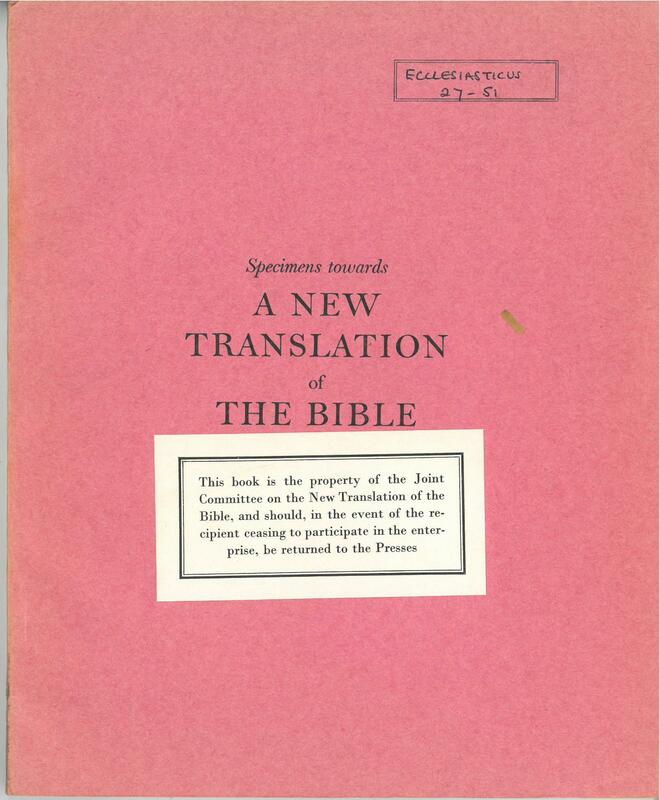 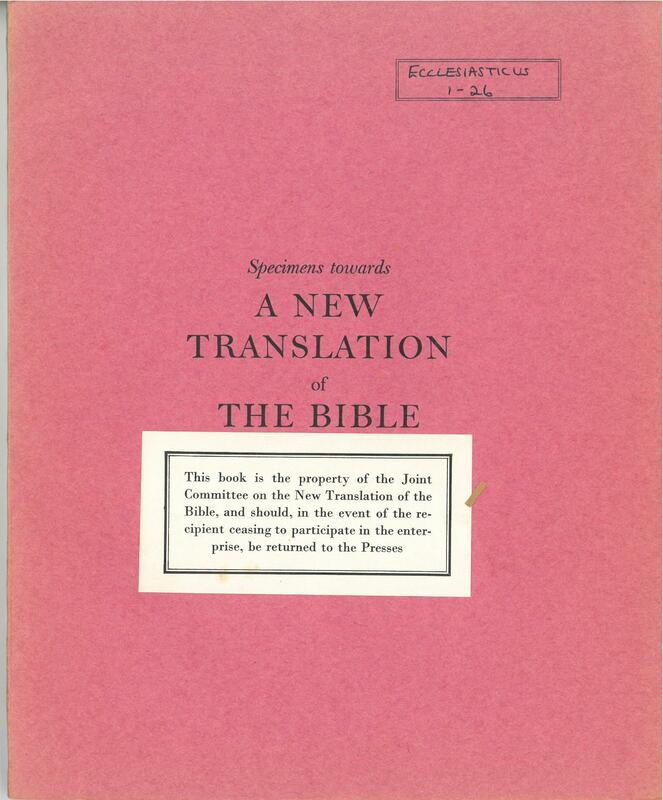 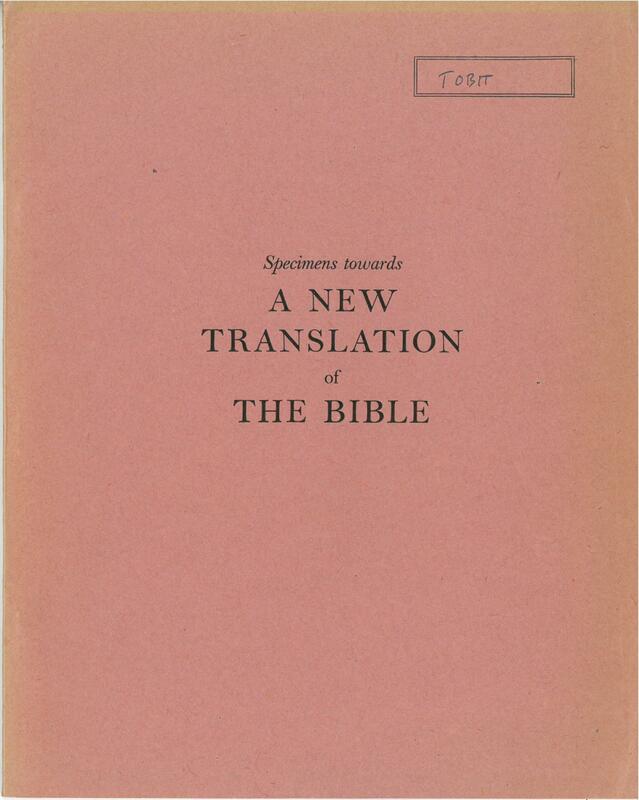 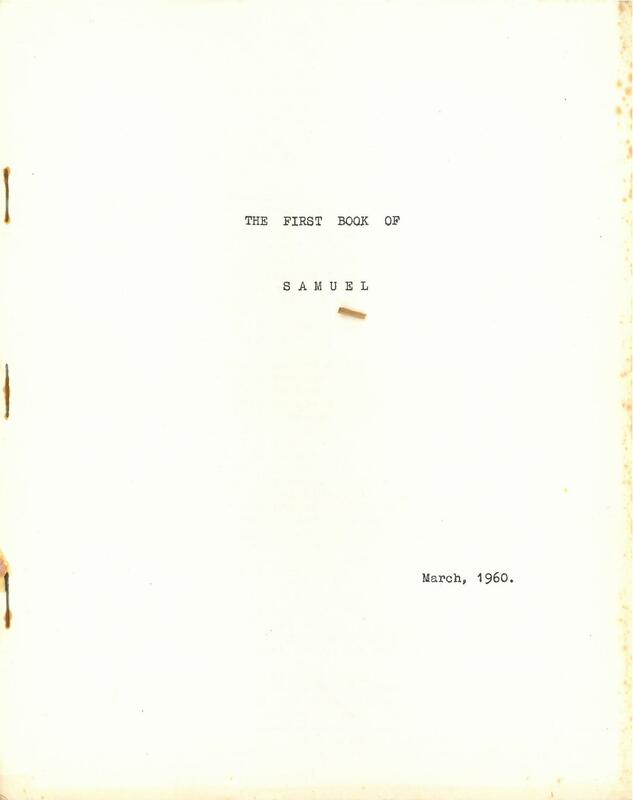 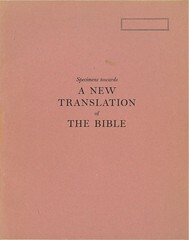 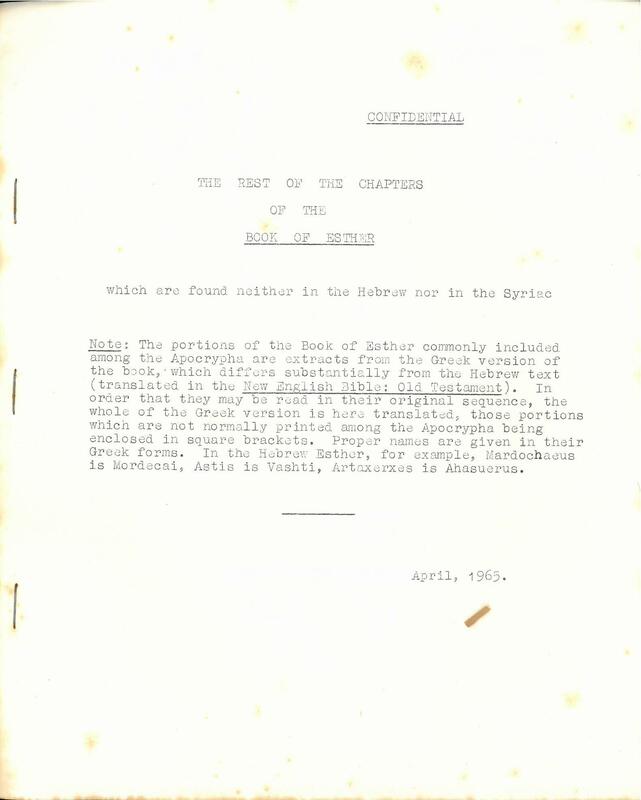 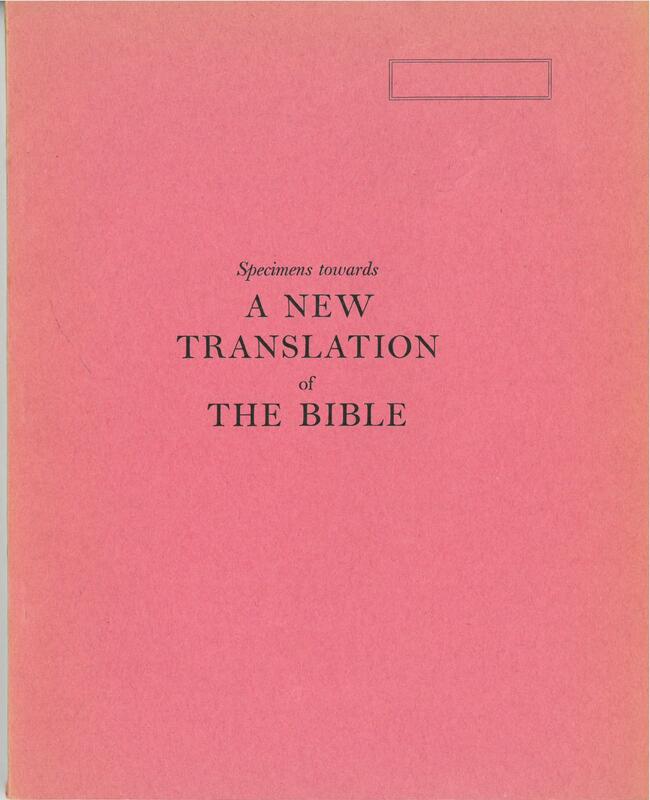 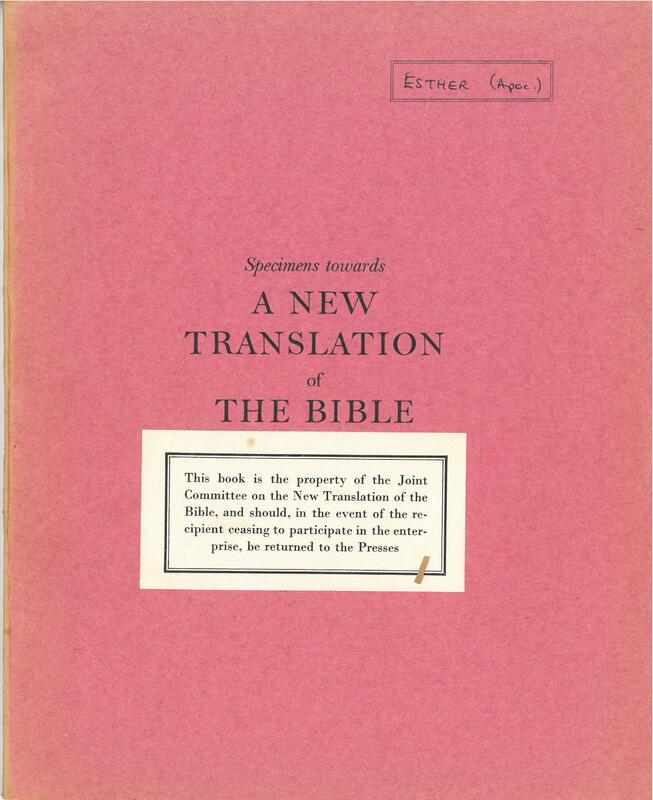 During the creation of the New English Bible draft versions of the books were created and circulated among the various panel mambers. 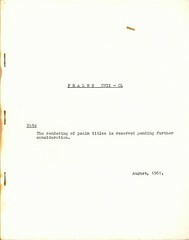 For the most part, these were closely held by the panel members and were not made available to the public. 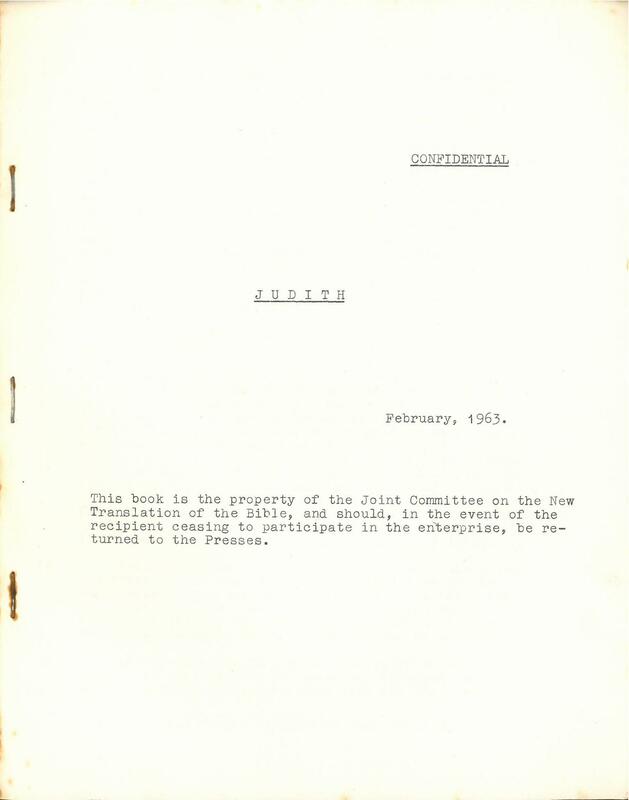 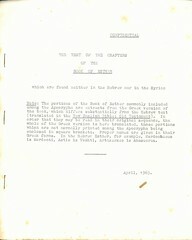 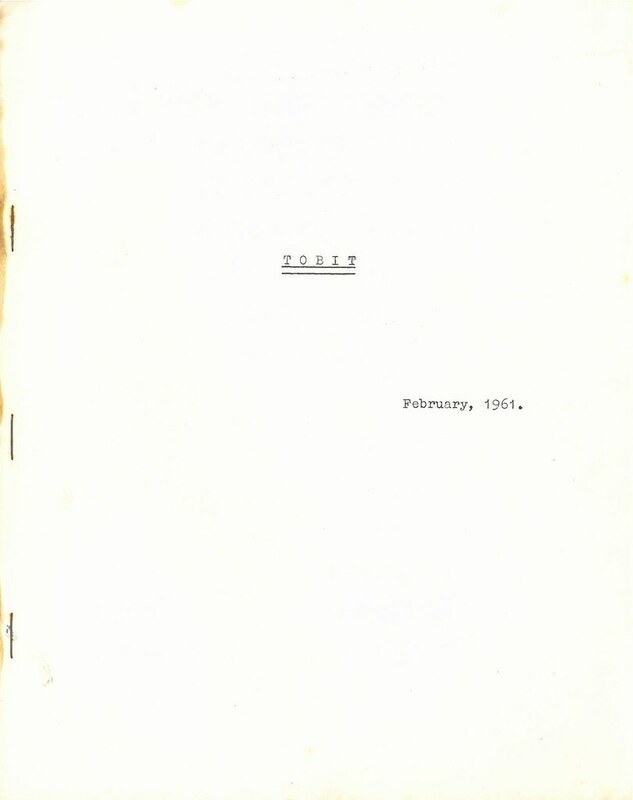 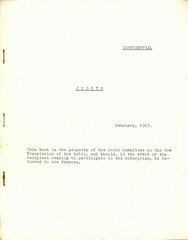 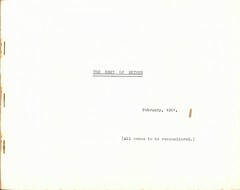 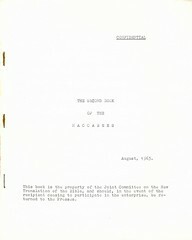 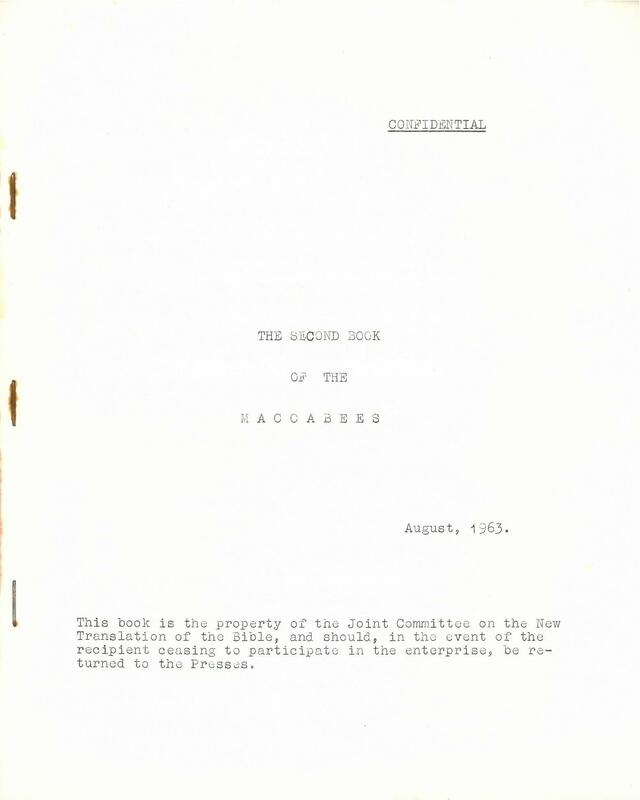 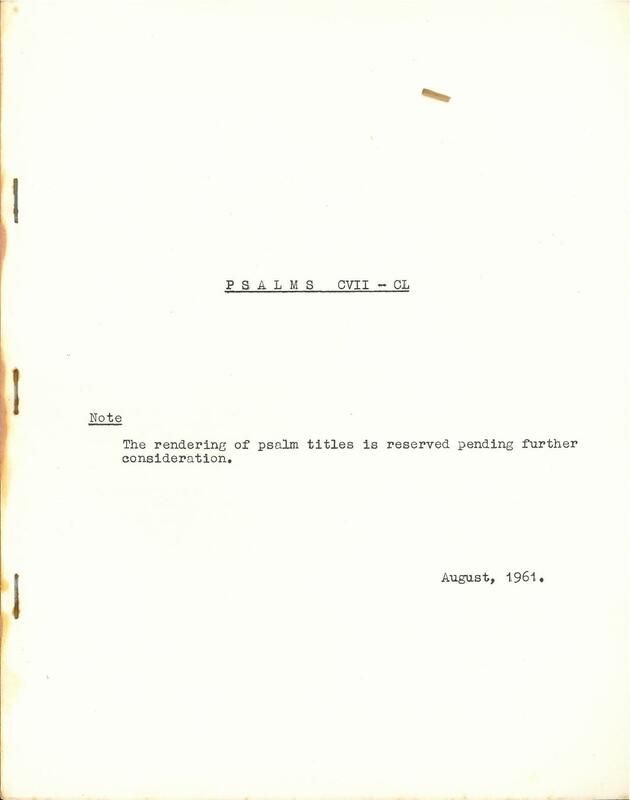 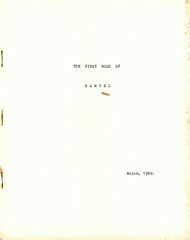 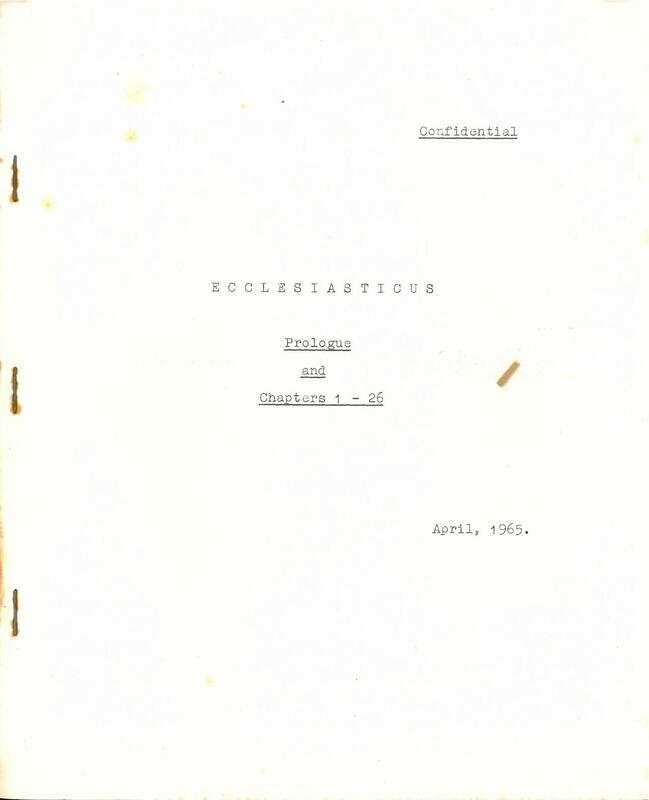 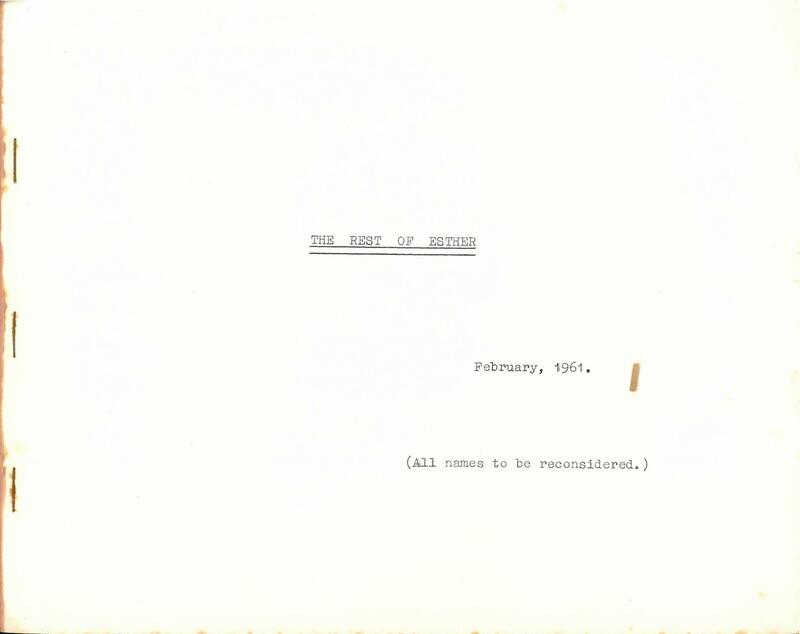 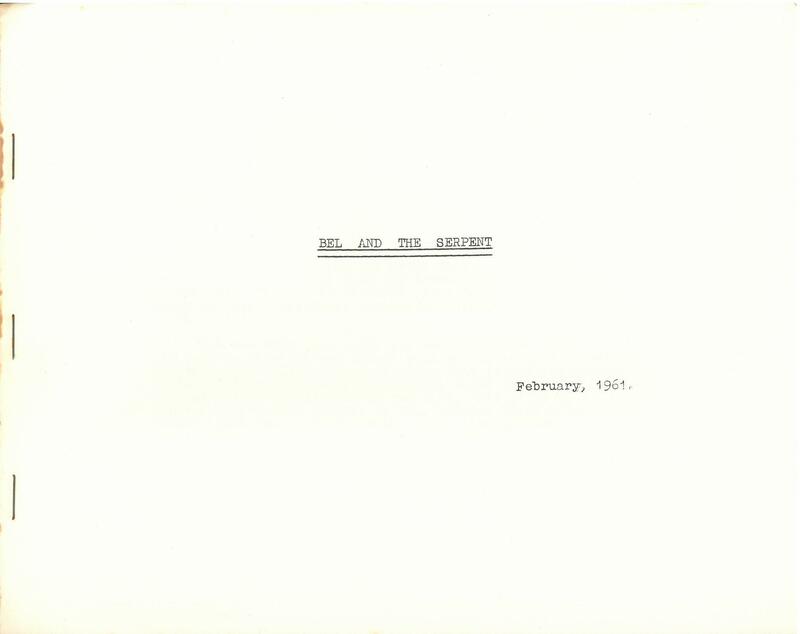 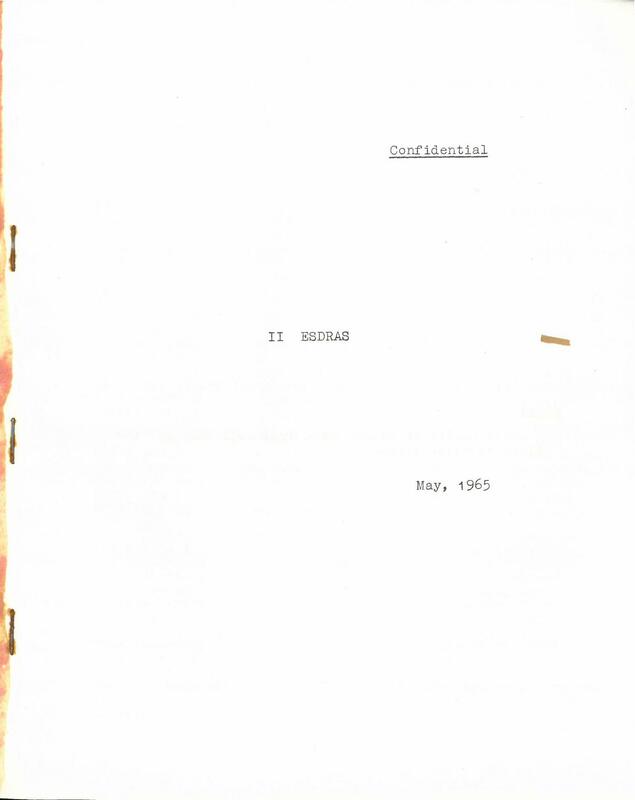 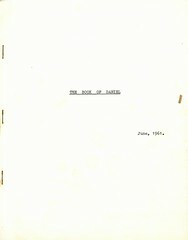 This page gives information on a few of these drafts. 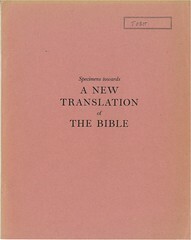 Description: Forty-eight mimeographed single sided sheets with a cardstock cover. 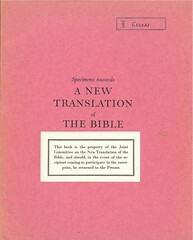 Description: Forty-three mimeographed single sided sheets with a cardstock cover. 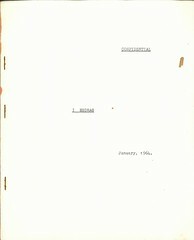 Description: Four mimeographed single sided sheets with a cardstock cover. 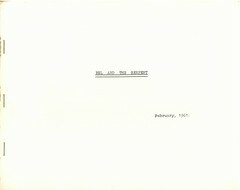 Description: Nine mimeographed single sided sheets with a cardstock cover. 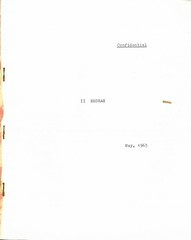 Description: Twenty-one mimeograph single sided sheets with a cardstock cover. 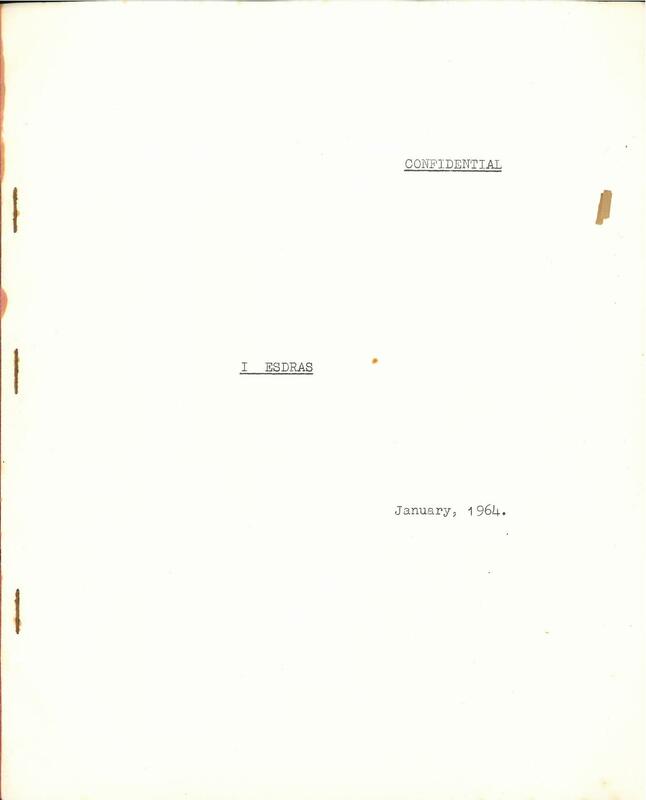 Description: Twenty-nine mimeographed single sided sheets with a cardstock cover. 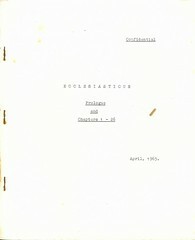 Description: Forty-one mimeographed single sided sheets with a cardstock cover. 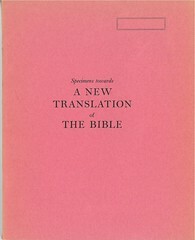 Description: Thirty-eight mimeographed single sided sheets with a cardstock cover. 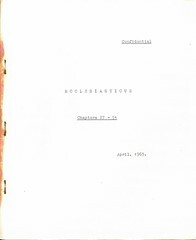 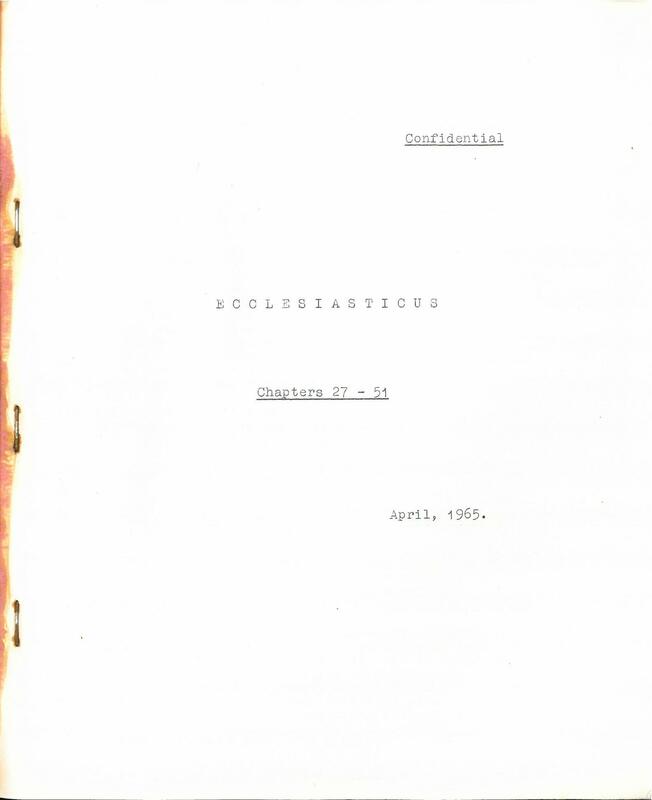 Descriptions: Twenty-six mimeographed single sided sheets with a cardstock cover. 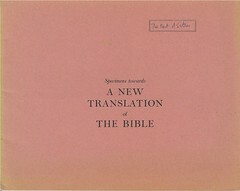 Description: Twenty-five mimeographed single sided sheets with a cardstock cover. 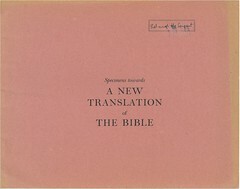 Description: Eighteen mimeographed single sided sheets with a cardstock cover.